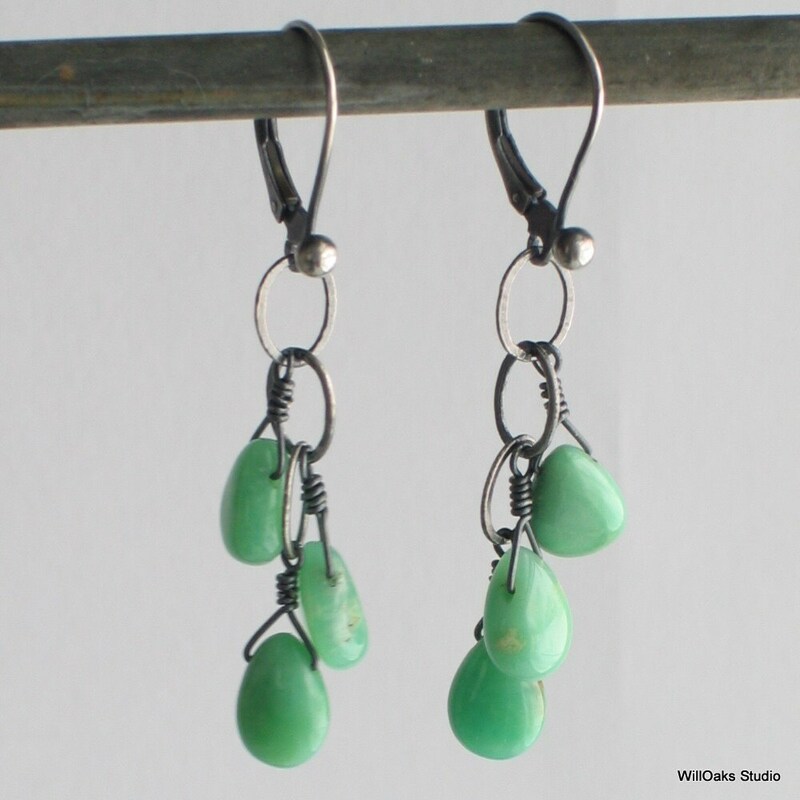 A lovely trio of smooth, naturally blue-green chrysoprase teardrops playfully dangle from oxidized sterling silver. This wonderful natural blue green color is a favorite of many. 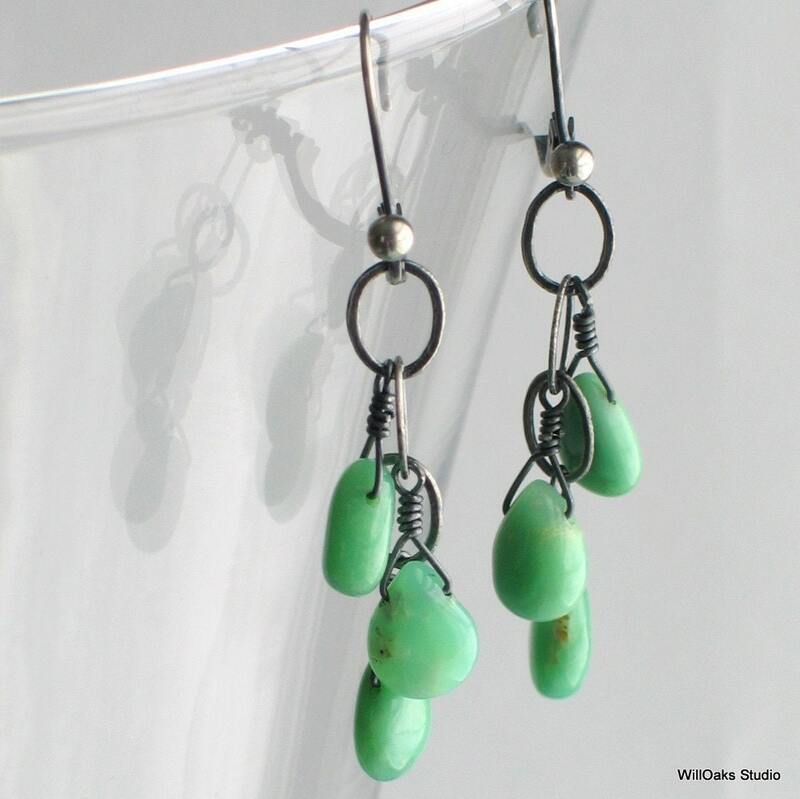 The earrings drop about 2" from the top of the oxidized leverback earwires. 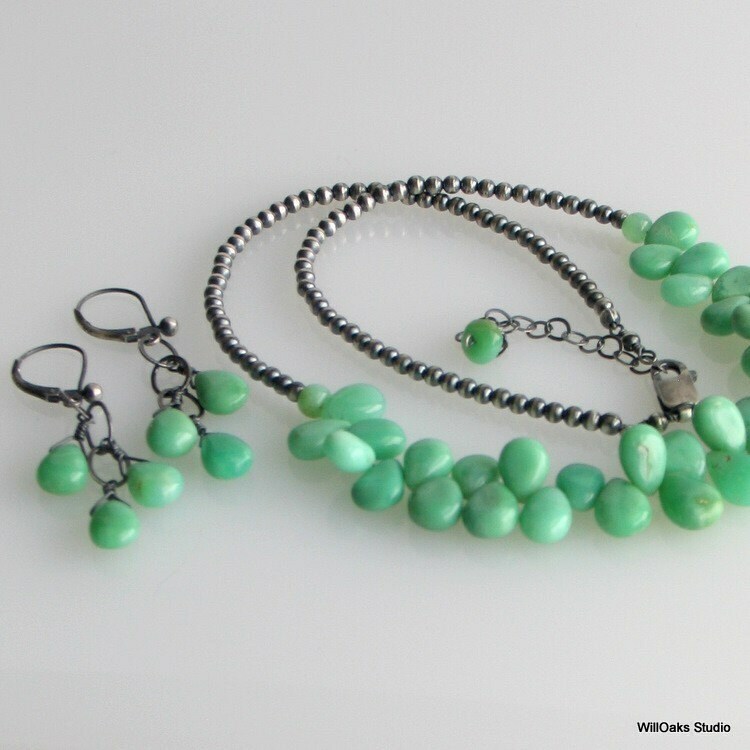 The hand oxidized sterling chain, and wire used to wrap chrysoprase teardrops, create a lovely mix of grays and blue green. All WillOaks Studio earrings are carefully packaged in a decorative, signature box, all ready to give or to keep. 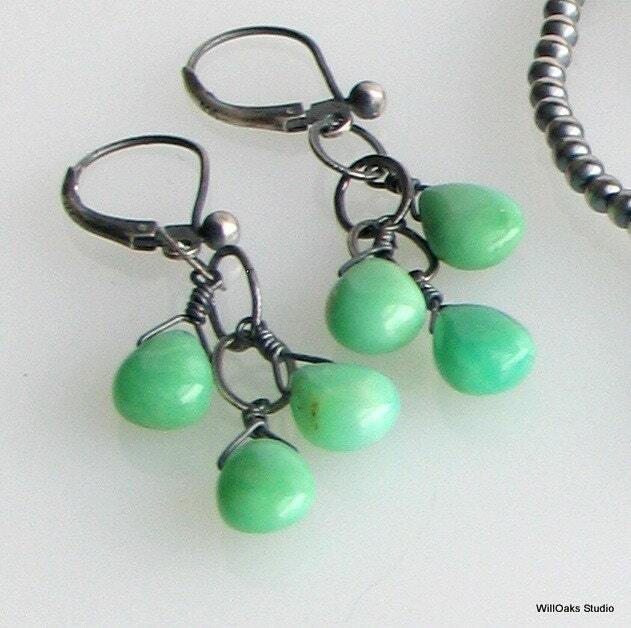 Natural chrysoprase stones have subtle variations in both color and small inclusions. This makes each pair beautifully original! Useful earrings. Just as the seller described. 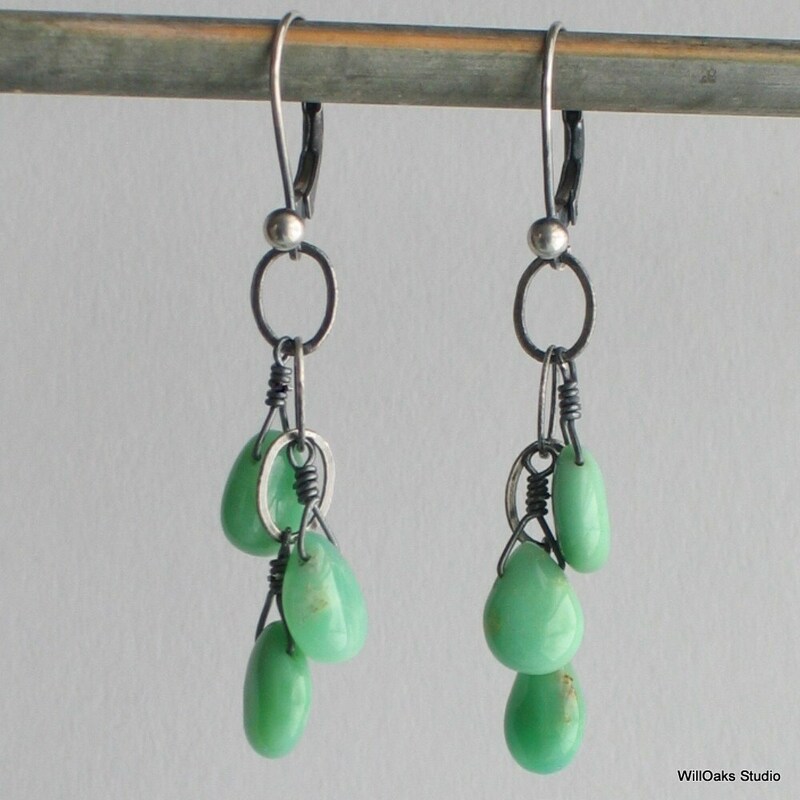 Great earrings…chrysoprase is one of my favorite stones. These are really pretty. Thank you. For my best friend for her birthday. Loves them! Came quickly, high quality. Thanks!